Maybe it was the snow this morning, or maybe it was the 5 cans of pumpkin sitting in my pantry that needed to be used. I’m not sure why, but for some reason, I was craving pumpkin today. 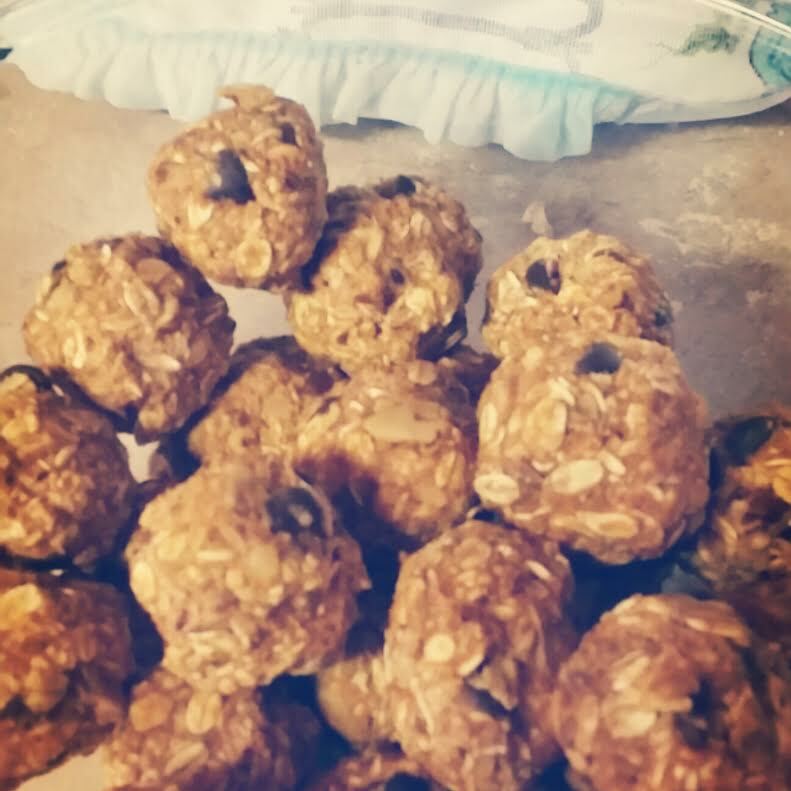 I decided to whip up these yummy Pumpkin Chocolate Chip Oat Balls to keep it clean and still satisfy my sweet tooth. 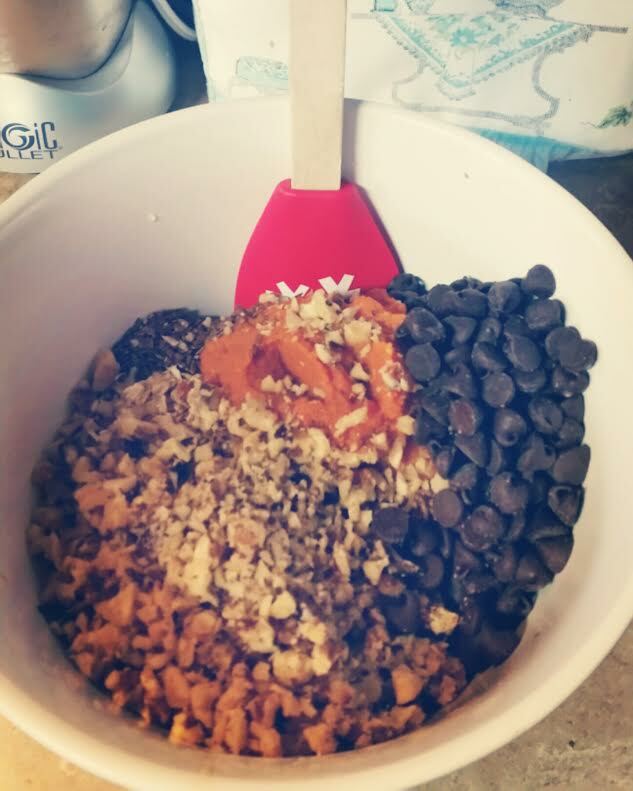 I have my awesome Beachbody Team, FIERCELY FIT DYNASTY to thank for this recipe! . Any recipe that involves dumping all ingredients in a bowl and mixing is a win for me. Enjoy these clean sweet treats that take about 20 minutes to make, start to finish! This recipe calls for crushed walnuts. 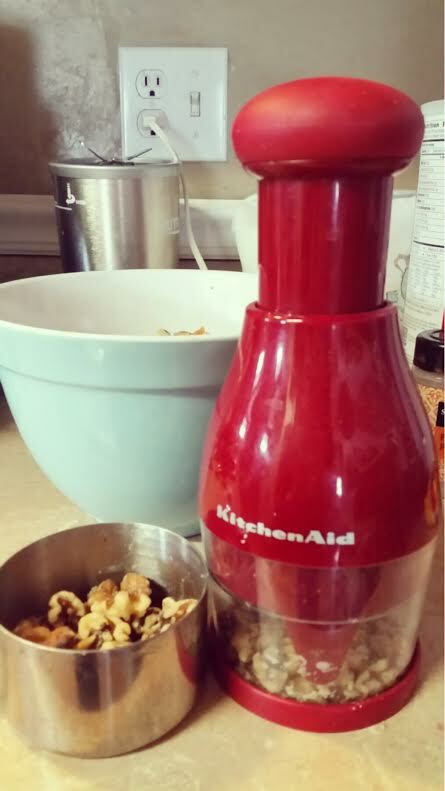 I used this great KitchenAid hand chopper that my Mom got me for Christmas to quickly chop the large walnuts I had in my pantry. Roll balls about 1” in diameter. I found these tasted best once they had been chilled for a little while.